Backer Farm began in 1927, when Richard & Jessie Backer purchased the 37 acres on Ironia Road for $3,000. A farm had always been a dream of Richard's, who was a very successful painter/paper hanger for the wealthy people of the Mendham area. In 1929, a baby boy was born in the front room of the farm house, Frederick Teets Backer. 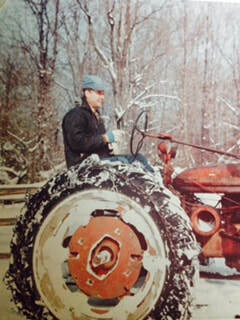 Fredrick loved farming right from the beginning. His older brother Joe had started a dairy business and Fred joined him milking cows at a very early age. Joe & Fred expanded the business by building the dairy barn in 1954, along with the creamery where they bottled their own milk, a chicken house, granary and other essential buildings for a traditional family farm. The crops were planted and harvested with a team of horses up until the 1940?s when they purchased their first tractor. Jessie raised her 6 children, bottled milk, worked the garden and became the typical farm wife of that era. In 1971 Fred & Joe decided to transition the dairy business into a horse boarding facility. 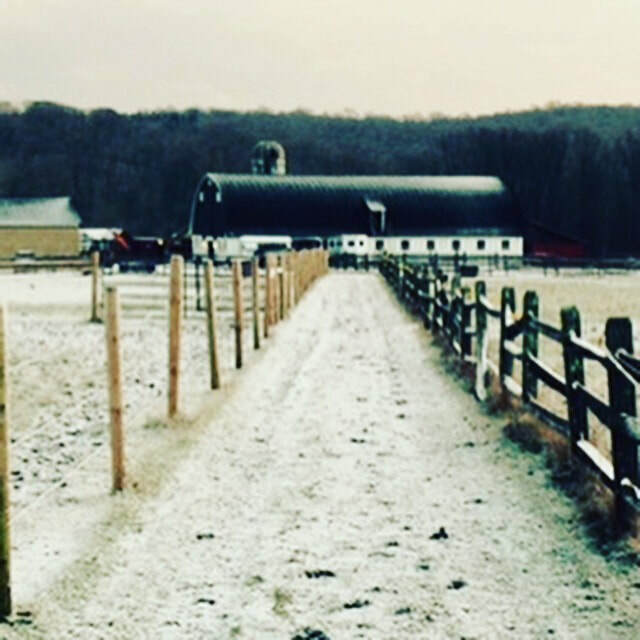 The Dairy Barn was converted to horse stalls, the Creamery became a tack room, and an outdoor riding ring was constructed behind the barn, in addition to many other changes. As the horse business grew, a second barn was constructed in the 1980?s. Jessie passed away in 1977 and Joe in 1980, leaving Fred, his wife Barbara and their 8 children, who lived across the street, to continue the business. The Backer Farm is still run as a family business by Fred's Grandson Derick (Frederick T. Backer III), along with his family. They still grow their own hay, vegetables and fresh eggs. Follow us on Facebook for up to date information on our available produce. On December 28, 2015, Fred Backer passed away in the house he was born in. He had sorted and boxed the eggs that afternoon and left us later that evening. His casket was transported on the back of his hay wagon that was pulled by his Farmall M with Derick at the wheel. It was a fitting tribute to a man who devoted his life to his family and his farm. For those of us, who were privileged to know him, he will never be forgotten. His legacy lives on at Backer Farm! ​The farm continues to thrive and grow! Along with the naturally grown produce, we are offering a wide range of delicious jarred products including salad dressings, pickles, jellies, jams, dips, salsa, and fruit butters. We are proud to be offering our own pasture raised pork in a variety of cuts. Our camp and after school programs continue to be a big hit with the community. We also offer a CSA (Community Supported Agriculture) Program.